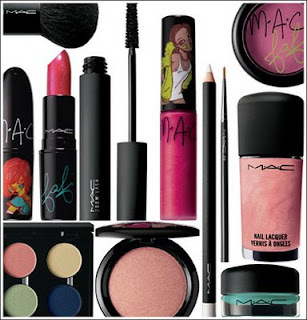 MAC Cosmetics will be debuting the limited edition Fafi collection on February 13, 2008. I know many of you are wondering who or what is Fafi??? You can get the lowdown here. 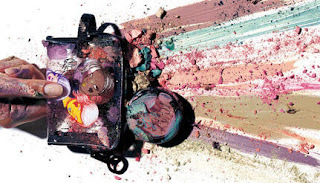 The whimsical packaging and candy-like color collections are sure to be coveted by Make-Up fanatics, club kids and hip hop junkies across the globe. 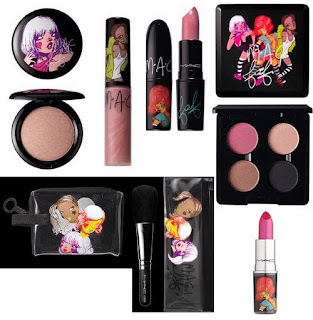 Fafi is a Parisian graffiti artist and the collection promises to boast an array of bold energetic hues to get your make up palette ready for Spring.... Each piece comes with this cutesy caricature of 3 punky lasses with matching Black & White stockings. gotta get some:)i luv your blog by the way.